Brand awareness. Paid ads. App Store Optimization. Downloads and installs. For mobile marketers, success is often measured by the ability to bring in new users and drive downloads. But 25% of CMOs say leading the customer experience is the #1 growing expectation CEOs now have of them. In short, a download is no longer a win. For your app to thrive, you need those new users to keep coming back. And that means focusing just as much of your efforts on marketing campaigns that engage and convert your current users over the long term. Loyal users are the lifeblood of your app. They’re more profitable, more responsive to campaigns, and more likely to bring in new users through word of mouth. So how do you get them? Retention marketing. We’ll break down this meaty topic into a plain-English primer on retention marketing, including a simple retention marketing definition, steps to build your own customer retention plan, and retention marketing examples from some of today’s most loved apps. Customer retention marketing involves creating campaigns that focus on your existing user base. The goal is to create habitual active users and repeat customers, and increase metrics like session length and frequency or purchase frequency and average order value. Onboarding (days 0-2): If your first-time user experience helps new users experience your app’s value, you’ll see an above-average retention rate during this period. Building user habits (days 3-10): If your app is becoming a regular part of new users’ lives, you’ll see churn start to stabilize. Long-term retention (days 30, 60, 90): You want to see users sticking around week after week, month after month. Why is Retention Marketing Important? New Acquisition Opportunities: With higher LTVs per user, you can now afford to spend more on new customer acquisition channels and grow your app exponentially. Imagine two businesses, one that retains 90 percent of its customers, the other retaining 80 percent. If both add new customers at the rate of 20 percent per year, the first will have a 10 percent net growth in customers per year, while the other will have none. Over seven years, the first firm will virtually double, while the second will have no real growth. Everything else being equal, that 10-percent advantage in customer retention will result in a doubling of customers every seven years without doing anything else. With so many benefits of retention marketing strategies, how do you start implementing them for your own app? There’s no shortcut to improving user retention, and you won’t see results overnight. But with planning, precision, patience – and a lot of experimentation — you’ll see just how big of an impact retention marketing can make on your business’ bottom line. Step 1: Determine how much focus to put on acquisition vs. retention. If you’ve just launched, your focus should be on acquiring new users. After all, you can’t retain users if you don’t have any yet. As your app grows and you add more active users and loyal customers, you should gradually shift more of your efforts to retention marketing. Step 2: What’s your user journey? Understanding how, where, and when potential and current users interact with your brand is essential to optimizing retention at every stage. A user journey map is an important reminder that different users discover your brand in different ways, and may have different expectations for your app. By understanding what those expectations are, you can better tailor your user experience to meet your users’ needs — and boost retention rates for every key user segment. Step 3: Determine current retention and churn. How many customers are leaving? Why are they leaving? Who are your most satisfied customers, and why are they happy with your app? Use cohort analysis to find out how many customers churn, when they churn, and what the contributing factors are. Cohorts may sound complicated and data science-y, but they’re really not. A cohort is simply a group of users who share a common trait — it could be they all downloaded your app on the same day, or they all purchased a certain product, or they all use a key feature. By tracking cohorts over time, you can see how different factors impact retention. Do users who joined via a certain acquisition source stay more active on your app? Do users who took advantage of a specific promotional campaign end up buying more often or spending more in the long run? By seeing what’s working (and what’s not), you can find out what your most valuable users are doing, and what leads other users to uninstall your app. Step 4: Focus on onboarding and first purchase. All retention phases are important… but they’re not all equal. At the end of the day, the initial retention phase is the most critical. The good news? Onboarding is often where you can be most effective in preventing churn. There are a few golden rules for effective onboarding: keep onboarding simple and give incentives to encourage a first conversion. Use UI overlays, simple walkthroughs, and visual hints to help users experience the key benefit of the app. However you structure your onboarding process, make sure it’s effective in getting users to experience your app’s value as soon as possible. Step 5: Use funnel analysis to identify and solve friction points. A smooth user experience is essential to keep users coming back. But sometimes it’s hard to know where the sticking points are in your app. Funnel analysis will shine a spotlight on them. Conversion funnels help you focus on key spots in your app: the registration or checkout process, for example, to show you how many users start the process vs. how many finish it, and where they drop off. 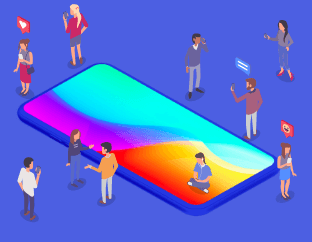 They highlight any areas where a large number of users are leaving so that you can zero in on trouble spots and get more users to complete the most important in-app actions. By optimizing your funnels, you can not only boost conversions, but improve and simplify the user experience. How many steps is the registration or checkout process? What can you do to make that process as quick and easy as possible? Think Amazon’s one-click ordering. They’ve shaved the purchase process down to a single step, removing as many barriers as possible to make it quick and easy for customers to get what they want. All of this leads to an intuitive and convenient user experience that keeps customers returning to your app. Step 6: Use data to create meaningful, personalized customer communications. Retention marketing is all about connecting with users on a personal level. It’s about improving the entire end-to-end user experience, deepening their relationship with, and loyalty to, your brand. But in order to create messaging and offers that are specific to users’ needs, you’ll need to know more about them. Luckily, there are sophisticated mobile marketing platforms that enable you to create detailed user profiles that go beyond simple demographics to technographics, psychographics, user intent, and more. Collecting and analyzing user data helps you understand your customers based on a complete picture — from their age, gender, location, and interests to how they use your app. All of these insights help you engage customers over the long term. And it’s a virtuous cycle: the longer you keep users, the more you get to know about them — and the better you can meet their needs. It all leads to marketers being able to create deeper customer relationships that last. Step 7: Make it easy for users to provide feedback. Retention marketing is all about your relationship with your users — and as they say, communication is key to a healthy relationship. 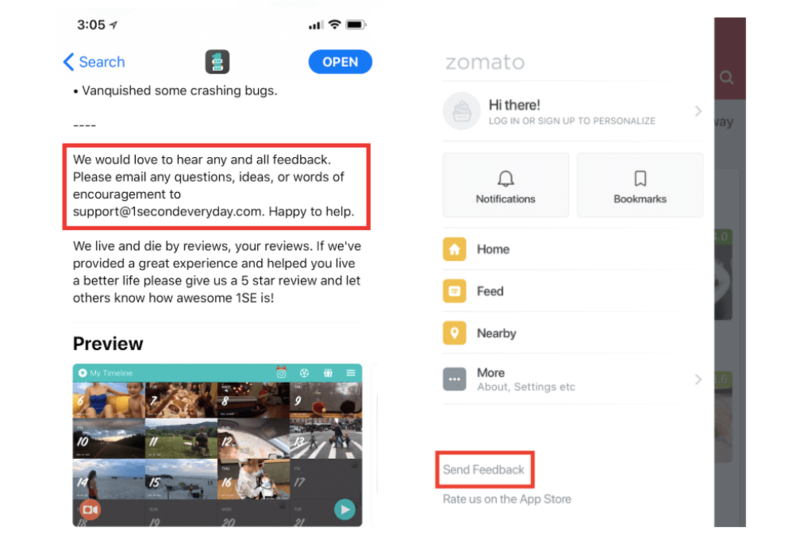 Requesting user feedback is the best way to identify and fix friction points before users ditch your app — or take to App Store reviews to air their grievances. Users want to know that you’re listening to their comments, suggestions, requests, and complaints and doing something about them. Step 8: A/B test and optimize. When is the best time to nudge users to sign up, register, or create a profile on your app? Right at the start or after they’ve used the product for a while? How often can you send push notifications or email promotions to engage users without annoying them? Designing effective retention marketing campaigns involves continual testing and refining to answer these types of questions. A/B testing campaign messaging, product tours, winback promotions, and other elements of your app and marketing strategies is the key to improving your retention marketing ROI. How have today’s top apps used marketing tactics to retain users? Here are a few of the very best retention marketing campaigns to inspire your own efforts. 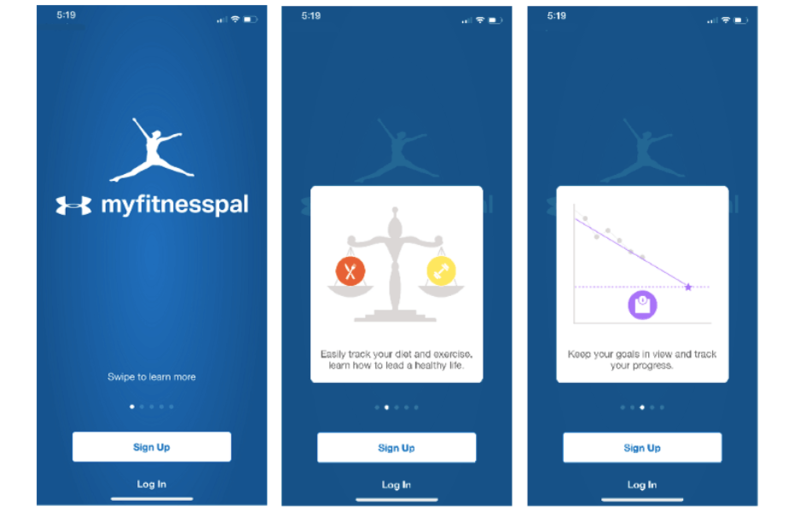 MyFitnessPal is a popular health app that helps users track calories and log workouts. 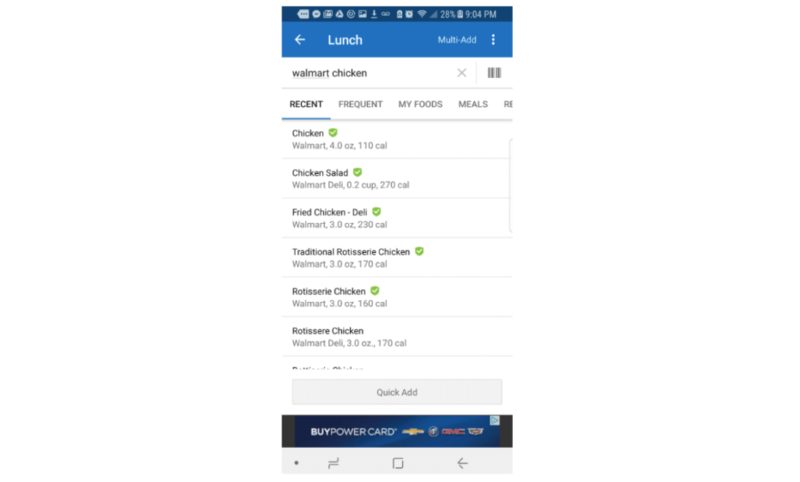 The app’s unique value lies in its simple user interface and comprehensive database of common foods. The app’s onboarding process is specifically designed to encourage new users to create a profile and log something they’ve eaten. This allows them to immediately experience how easy it is to count calories with the app, with no guesswork or approximations. While there are many ways to monetize your app, the subscription model is not only an effective way to generate revenue, it can also improve retention. By locking in users for a month or even a year-long subscription, you can build user habits and loyalty. 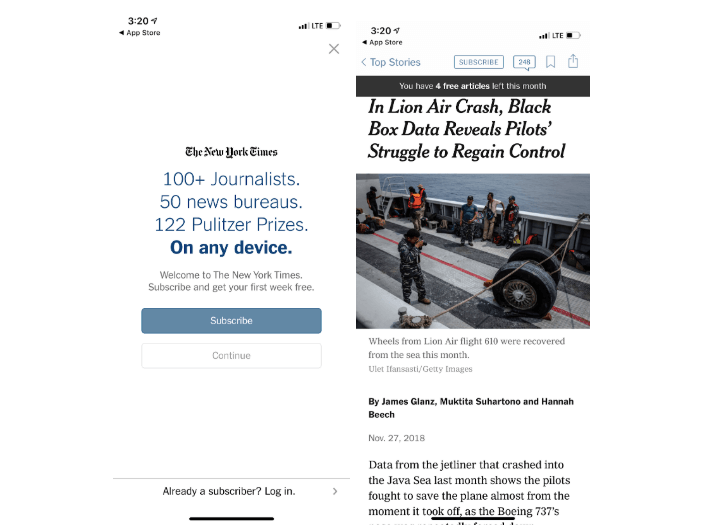 While The New York Times app is available for free, attracting a wide user base, it encourages free users to purchase a subscription in a variety of ways. For one, the very first thing a new user sees upon first launching the app is a full-screen message reinforcing the news outlet’s authority and prestige in journalism. The app also shows an in-app message to non-subscribers counting down their remaining free articles for that month. These marketing messages all entice free users to purchase a subscription and commit to the app as their regular source for trusted news. By incentivizing current users to recommend your app for a reward, you can both encourage them to keep using your platform and provide prospective users with powerful social proof to encourage new downloads. 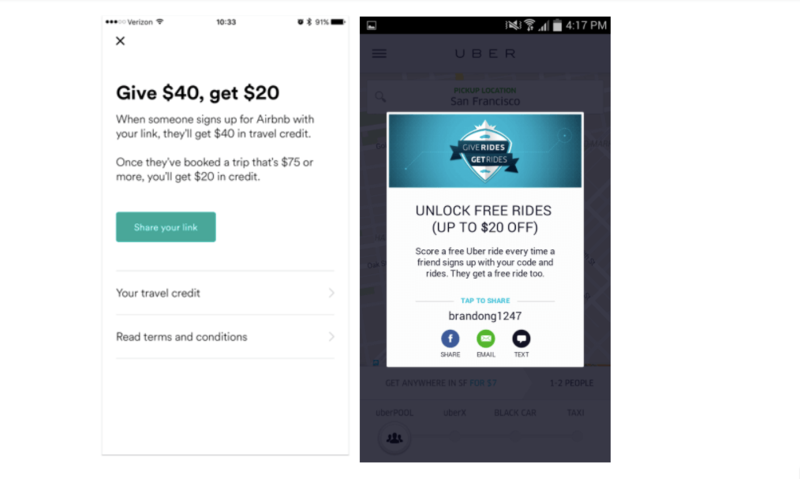 Mobile giants like Airbnb and Uber have famously used mutual incentives as viral loops to both retain and reward current users — and acquire new ones. Become your users’ go-to resource on anything and everything pertaining to your industry. By providing solutions to their problems, they’ll see your brand as the leader in your space and default to you for future purchases. 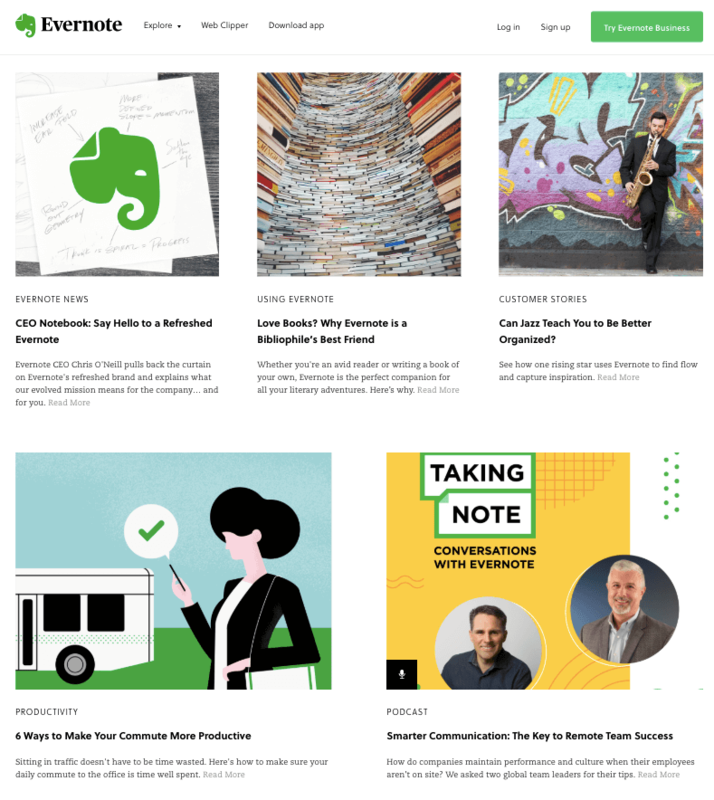 Evernote’s content marketing campaigns feature articles and videos on topics like productivity, goal setting, going paperless, app usage tips, and even interviews with high-profile users. Its content is both engaging to read and educational, designed to help current users get more out of life (and the app). Starbucks is a master at using the convenience of mobile to engage and retain customers. 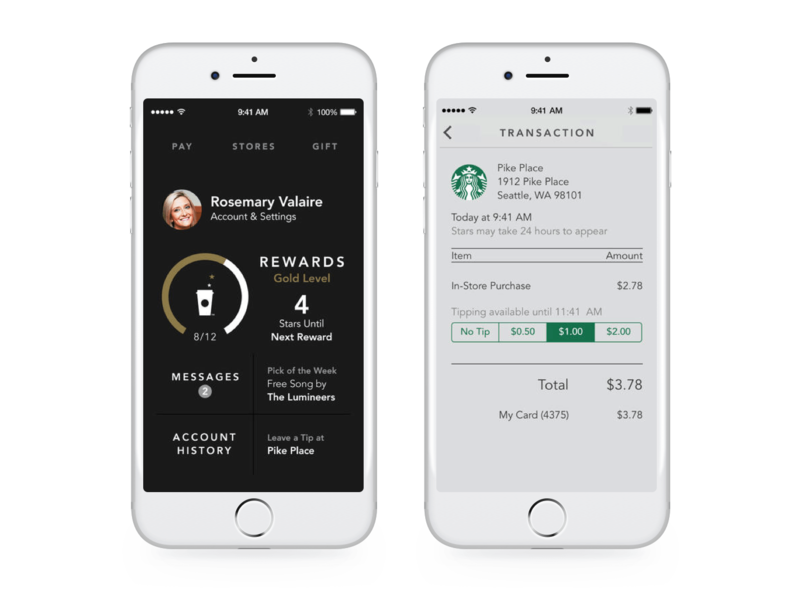 The Starbucks app features a simple loyalty system that rewards users with stars for each order placed, which can then be redeemed for free food and drinks. They gamify this rewards system even more with happy hour deals where users can earn extra stars or get free drinks through the app. It all effectively makes the mobile app their customers’ go-to solution for their daily caffeine fix. And it boosts retention by incentivizing users to keep coming back to the app to redeem the stars and discounts they’ve earned. Creating an active, passionate community of users who share a common interest can be a powerful way to keep users engaged with your app. Take REI: their lifetime membership isn’t only about member-only coupons and sales (although these help too). 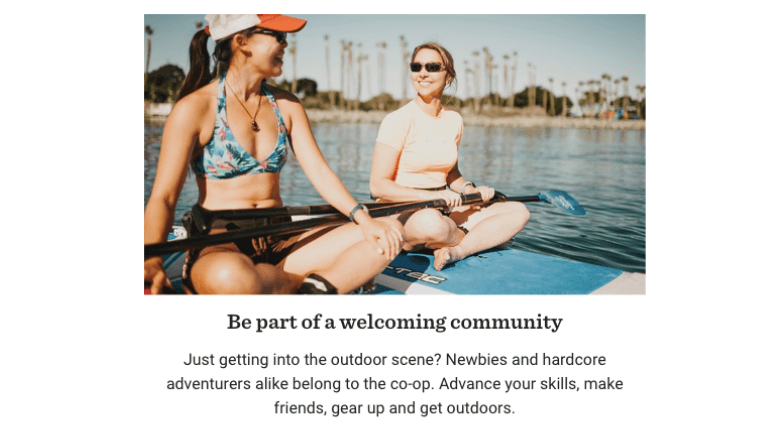 It’s about participating in a community of fellow outdoor enthusiasts. REI emphasizes the outdoor skill workshops, classes, guided trips, and general camaraderie that comes with a membership. Getting advice on things like which backpack to buy or the best hikes at your favorite national park not only keep users engaged in the REI community, it makes them more likely to take the plunge on that $150 backpack. Just because a user uninstalls your app doesn’t mean they’re gone forever. Don’t forget to create retention marketing campaigns targeting inactive or uninstalled users. 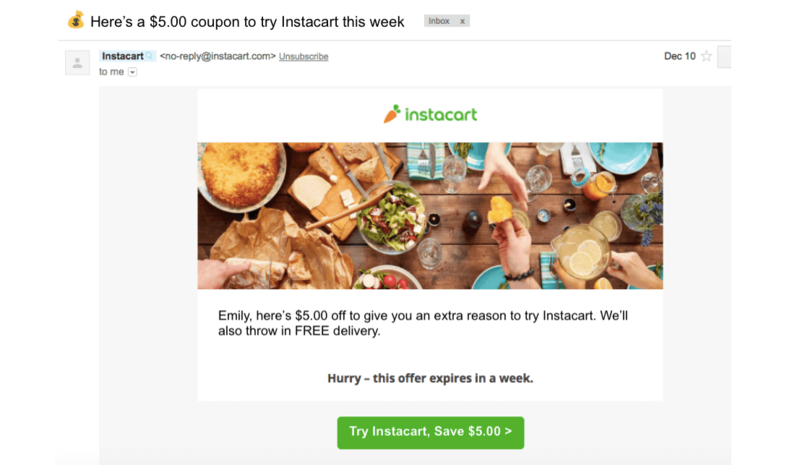 Take it from Instacart — they created an email campaign incentivizing inactive users to come back with free delivery and discounts, and added a sense of urgency with a time-sensitive deal. Use surveys and other forms of user feedback to understand why people uninstall your app, and then use that information to address that issue. Think new feature announcements, discount codes, or personalized content/product recommendations. –Specify dollar amounts in the subject line. $ off are almost 2x as successful as % off discounts. –Act fast. Only 1.8% of emails sent to long inactive users were read, compared to the 12% average. Churn rate is like a fire alarm. It a warning sign that something’s very wrong, but it doesn’t help you put out the flames. Successful retention marketing means going deeper than churn rates to understand who is uninstalling your app, when, and why — so you can make informed decisions that will have a deeper impact on your app’s growth. The first step is tracking retention rates, identifying key user segments, and building customer retention strategies. We put together some detailed articles on effective user analytics and segmentation strategies to fuel your retention marketing tactics. See how CleverTap helps 8,000+ global brands create effective retention marketing campaigns. Get a personalized demo with our mobile marketing experts.